The Ronald McDonald House was our life saver. When my daughter Kennedy was eight months old, we ended up at Strong Memorial Hospital because she completely stopped eating. She lost a pound and a half. When you’re that little, that is a big problem. She had health issues before, but nothing like this. We had no idea where we were headed. 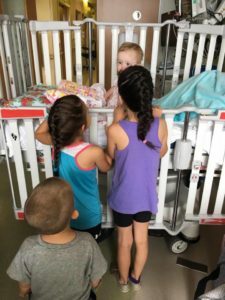 The Ronald McDonald House was a big relief for my family. We live in Wayne County, which is an hour away from the hospital. Being so far from home would have meant constantly relying on extended family to watch the kids, as well as depending on others to bring meals and clean clothes for us. Instead, we were able to go downstairs to do our laundry and eat, while Kennedy’s brothers and sisters enjoyed themselves in the Sibling Clubhouse. The Family Room allowed us to get away, without really getting away. I would go downstairs to the Family Room in the afternoon while Kennedy was napping and one of the volunteers would keep an eye on her for me. I had work to do, so I would bring my laptop and get my mind off the fact that I was stuck in the hospital with a sick kid, that I had no idea what was wrong with and when she would get better. I was also able to interact with parents who knew exactly what I was going through because they were going through it, too. As a parent, it sometimes feels like you are in a fish bowl upstairs, but when you go in to the Family Room, you feel like you are a part of society again. It gives you a change of scenery, a mental break that is very much needed. None of this would have been possible without the volunteers. Anything I needed, they were right there for me. They were awesome for choosing to spend their time at the Ronald McDonald House. I cannot thank them enough. I hope they know how awesome they are because without them we wouldn’t have had this place to go to. 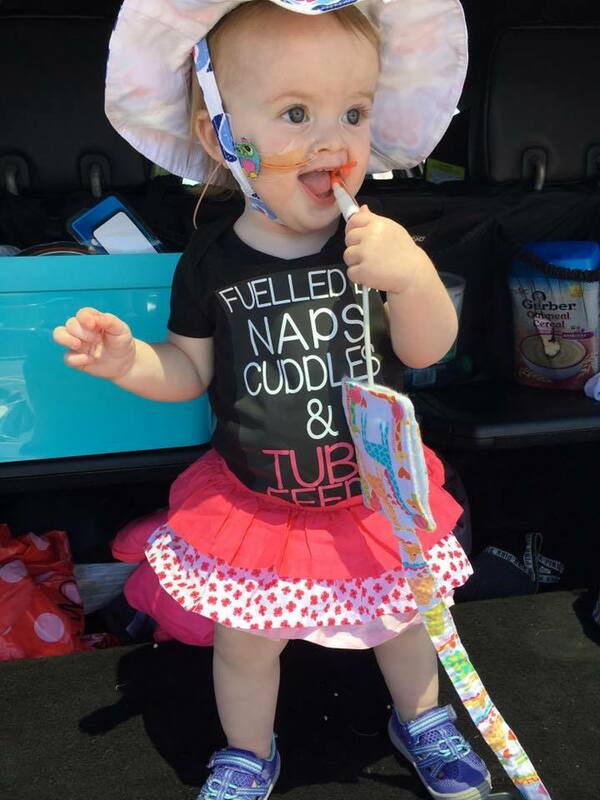 It turns out that Kennedy has a rare condition called FPIES, which means she is allergic to certain food proteins. This has made it extremely difficult to figure out what she can and cannot eat. As of now, she can only eat millets, strawberries and cucumbers. For a little baby, this is quite limiting. Despite so, we made her first birthday party special for her. We got her a wooden cake to play with while she enjoyed an endless amount of strawberries. She is the happiest, little sick baby I have ever seen and that is the most I could ask for.